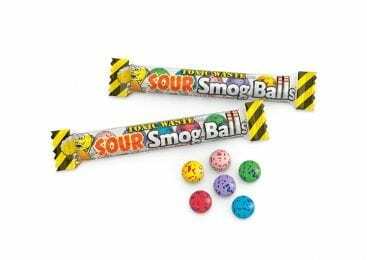 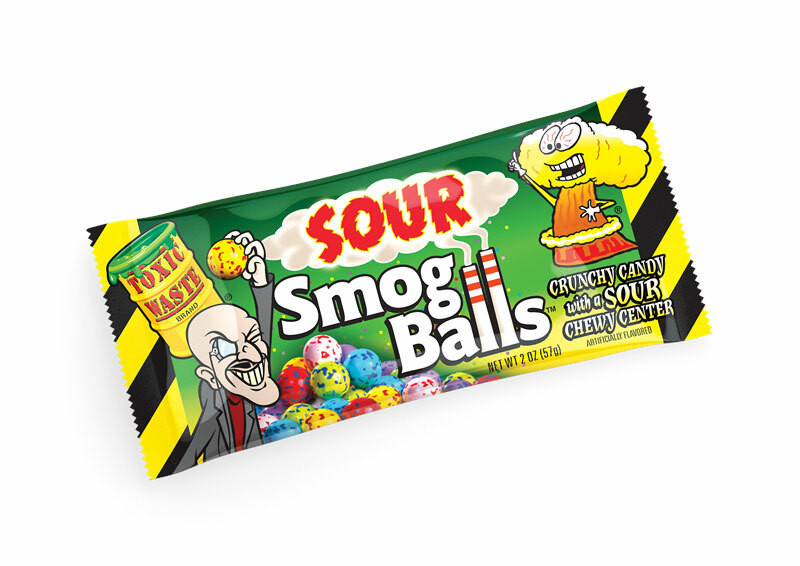 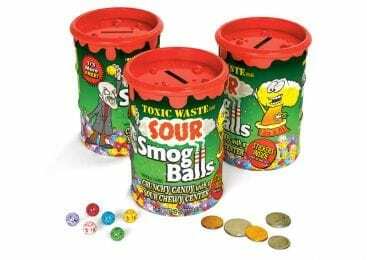 From the makers of Toxic Waste Hazardously Sour Candy® comes new Sour Smog Balls™, a delicious crunchy sour candy with an amazing sour chewy center. This wonderful new product has already been a hit with so many sour fans! 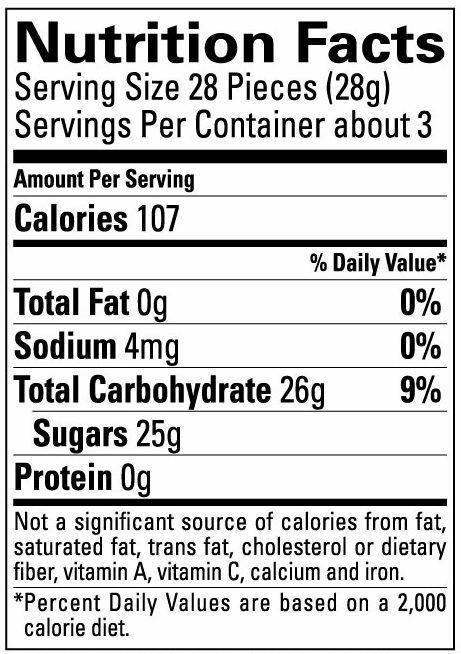 Each 2 oz. 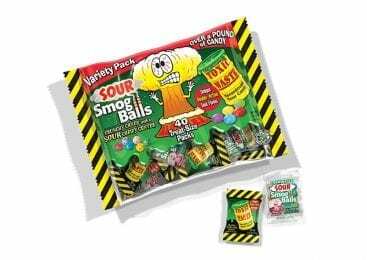 bag includes 6 different yummy sour flavors: Lime, Cherry, Strawberry, Lemon, Blue Raspberry and Grape.